Umdoni Municipality, with its base in Scottburgh, covers an area of 236 square kilometres. The Municipality is conveniently located about 50 km from Durban and 65 km from Port Shepstone. The urban areas of the municipality (in which 44% of the population live) comprise the coastal towns of Scottburgh, Park Rynie, Pennington, Sezela, Bazely, Ifafa, Elysium and Mtwalume, and the inland towns of Umzinto / Umzinto North, including Shayamoya and Esperanza. The rural areas contain farms and Traditional Authority land, on which a number of rural settlements are to be found. Scottburgh located on the mid-south coast of KwaZulu Natal, is considered an important commercial and service centre . The town serves as a service and employment centre for tourism and commercial development to the surrounding farming community, as well as the bordering Tribal Authority Areas. The economy of the town is based on tourism, commerce, industry, agriculture and government offices. Scottburgh has a well-developed infrastructure system, providing service to a sound commercial sector and a middle to upper class residential component. The area, until recently, has historically been pre- dominantly retirement focused, but is now attracting visitors locally, nationally and internationally. The location of Scottburgh along the N2 ensures excellent accessibility and linkage with both eThekwini (Durban) and the lower south coast. The R 56 grants direct access to the Berg (Bergville & Underberg) and all the rural areas along this route. The railway line is a potential secondary linkage to the north and south. Scottburgh is a popular seaside resort, with a large sea-bathing area protected by shark nets. It also has a swimming pool and children's paddling pool on the beach. Special facilities are provided for campers and caravaners, and Scottburgh's sporting amenities include an 18-hole golf course, a bowling green and tennis and squash courts. Mtwalume has three caravan parks and three holiday resorts. The Mtwalume Ski Boat Club, which holds numerous records is one of the best known in KwaZulu-Natal. Popular activities include surf angling, deep-sea fishing, scuba diving, spear fishing, windsurfing and board surfing; and tidal pool for both adults and children, nestling among the rocks with a long natural beach to the north. Apart from its relatively well-developed holiday resort facilities, the municipality's economy is supported by commercial fishing and a number of large-scale commercial farms, which cultivate sugar-cane and timber. Both crops are also grown on a smaller scale by private and small farmers. Crop production and stock raising (mainly for home consumption) take place in the Traditional Authority areas. Agricultural activities need to be promoted to compliment and take advantages district and provincial initiatives. The wholesale and retail sector is well developed. There are no significant industries but there are a number of small manufacturing businesses. There is a great potential for industrial development within Umdoni; specifically Park Rynie and Umzinto Industrial Parks. Further to this Umdoni has successfully sourced funding from European Union to develop an Industrial Development Strategy, which is also aimed at directing industrial development within Umdoni. Places of interest in the Pennington area include Botha House, Nkomba Bird Sanctuary, the Elysium Wetland (a bird-watching site), and the Umdoni Park Links Golf Course. Bathing, surfing and safe tidal pools are to be found at Pennington and Ifafa. 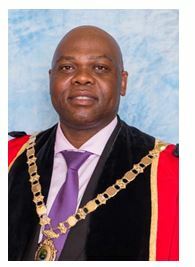 "By 2012 Umdoni Municipality will be synonymous with service delivery excellence, good corporate governance, financial viability and a vibrant local economy delivering services to all its communities in an efficient, effective and economical manner." Umdoni Municipality as a sphere of government closest to the people is fully committed to developmental local government. Umdoni refers to the waterberry tree.